Sept. 1 — Bright Computing, the leading provider of vendor-independent cluster and cloud management software, announced its Bright for Deep Learning solution today at the Disney Data & Analytics Conference 2016 in Orlando, Florida. Bright for Deep Learning makes it faster and easier for organizations to use deep learning techniques in their businesses. The Bright for Deep Learning solution, available on Bright Cluster Manager Version 7.3, provides a choice of machine learning frameworks to simplify deep learning projects, including Caffe, Torch, TensorFlow, and Theano. 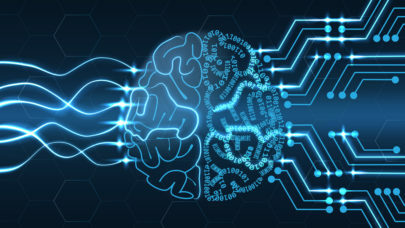 In addition, the Bright solution includes several of the most popular machine learning libraries to help access datasets, such as MLPython, NVIDIA CUDA Deep Neural Network library (cuDNN), Deep Learning GPU Training System (DIGITS), and CaffeOnSpark, the open sourced solution for distributed deep learning on big data clusters. Bright Cluster Manager Version 7.3 includes Python modules that support machine learning, plus the NVIDIA hardware drivers, CUDA (parallel computing platform API) library, CUB (CUDA building blocks), and NCCL (library of standard collective communication routines). Bright also provides and installs environment modules that make it easy to dynamically modify the user environment to use all of the provided machine learning components. Deep learning applications can also be scaled beyond a single machine with the CaffeOnSpark package, spreading the processing across an entire cluster for better performance. If users need more capacity, Bright’s cloud bursting capacity lets them extend GPU-enabled instances into the cloud. Bright also makes it easy to run deep learning applications in containers or in a private OpenStack cloud. Users can even take advantage of the performance benefits of modern clusters with RDMA-capable interconnects by running a deep learning application using RDMA-Spark. To read more about Bright’s deep learning solution, go to www.brightcomputing.com/deep-learning. For more information about Bright Computing’s industry-leading solutions for cluster and cloud management, visit www.brightcomputing.com. Bright Computing is the world’s leading independent provider of cluster and cloud management software. Bright Cluster Manager and Bright OpenStack provide a unified approach to installing, provisioning, configuring, managing, and monitoring HPC clusters, big data clusters, and OpenStack clouds. Bright’s products are currently deployed in more than 500 data centers around the world. Bright Computing’s customer base includes global academic, governmental, financial, healthcare, manufacturing, oil/gas/energy, and pharmaceutical organizations such as Boeing, Intel, NASA, Stanford University, and St. Jude Children’s Research Hospital. Bright partners with Amazon, Cray, Dell, Intel, Nvidia, SGI, and other leading vendors to deliver powerful, integrated solutions for managing advanced IT infrastructure such as high performance computing clusters, big data clusters, and OpenStack-based private clouds.